PennyLuna - Cowgirl, Gypsy or Boho Girl Bracelets Only $8.99! You are here: Home / Great Deals / PennyLuna – Cowgirl, Gypsy or Boho Girl Bracelets Only $8.99! PennyLuna – Cowgirl, Gypsy or Boho Girl Bracelets Only $8.99! Order any of these PennyLuna – Cowgirl, Gypsy or Boho Girl Bracelets for Only $8.99 and be the belle of the ball! 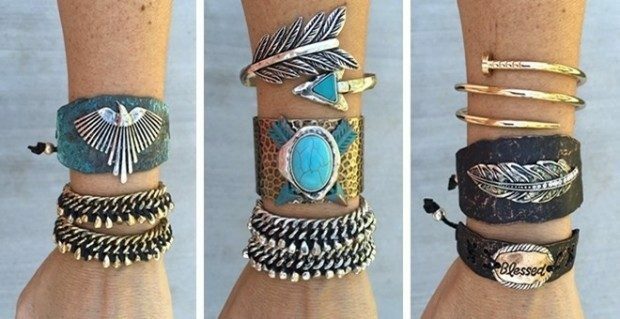 You can mix and match the bracelets to get exactly the look you are going for (like they did above), then you can switch them around for a whole new look!